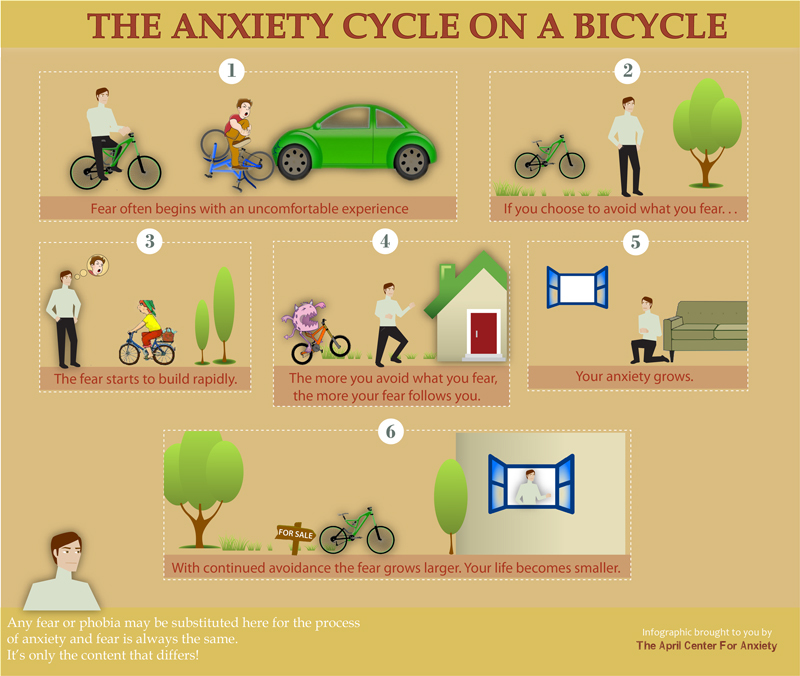 This infographic illustrates how a phobia, anxiety disorder or panic disorder is created. Social Anxiety, as well as the classic OCD symptom of obsessions, also fit into the same context. See if you can replace the fear in the illustration below with your own to demonstrate the impact your particular area of anxiety is having on your life.